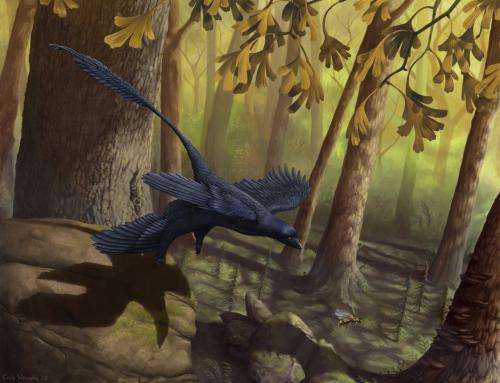 Scientists from the University of Southampton hope to have ended this debate by examining the flight performance of one feathered dinosaur pivotal to this debate—the early Cretaceous five-winged paravian Microraptor. The first theropod described with feathers on its arms, legs and tail (five potential lifting surfaces), Microraptor implies that forelimb-dominated bird flight passed through a four-wing ('tetrapteryx') phase and represents an important stage in the evolution of gliding and flapping. Results of the team's wind tunnel tests show that Microraptor would have been most stable gliding when generating large amounts of lift with its wings. 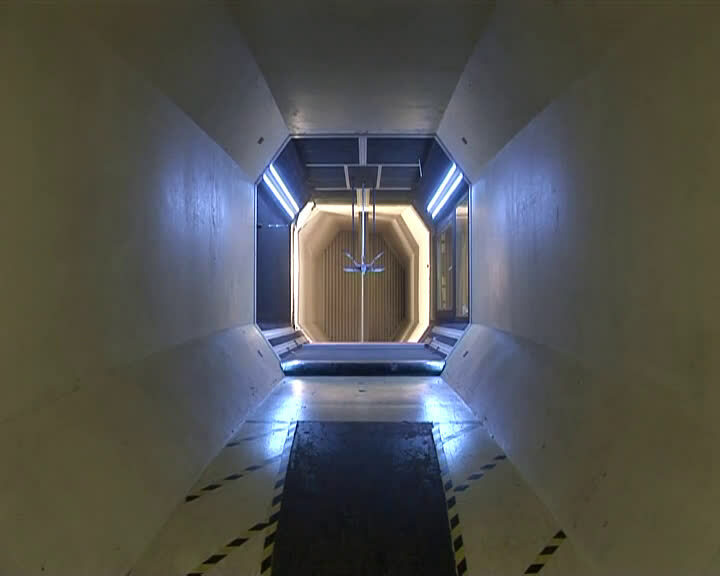 Flight simulations demonstrate that this behaviour had advantages since this high lift coefficient allows for slow glides, which can be achieved with less height loss. For gliding down from low elevations, such as trees, this slow, and aerodynamically less efficient flight was the gliding strategy that results in minimal height loss and longest glide distance. Much debate, centred on the position and orientation of Microraptor's legs and wing shape turns out to be irrelevant – tests show that changes in these variables make little difference to the dinosaur's flight. Dr Gareth Dyke, Senior Lecturer in Vertebrate Palaeontology at the University of Southampton and co-author of the study, says: "Significant to the evolution of flight, we show that Microraptor did not require a sophisticated, 'modern' wing morphology to undertake effective glides, as the high-lift coefficient regime is less dependent upon detail of wing morphology." "This is consistent with the fossil record, and also with the hypothesis that symmetric 'flight' feathers first evolved in dinosaurs for non-aerodynamic functions, later being adapted to form aerodynamically capable surfaces." 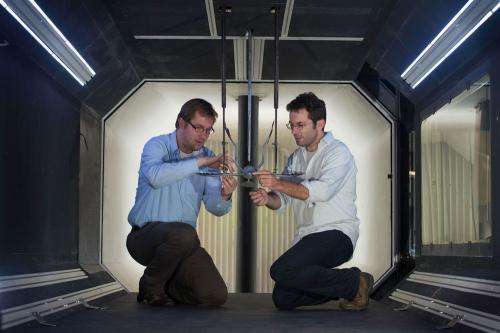 Dr Roeland de Kat, Research Fellow in the Aerodynamics and Flight Mechanics Research Group at the University of Southampton and co-author of the study, says: "What interests me is that aerodynamic efficiency is not the dominant factor in determining Microraptor's glide efficiency. However, it needs a combination of a high lift coefficient and aerodynamic efficiency to perform at its best." The paper 'Aerodynamic performance of the feathered dinosaur Microraptor and the evolution of feathered flight' is published in the latest issue of Nature Communications.